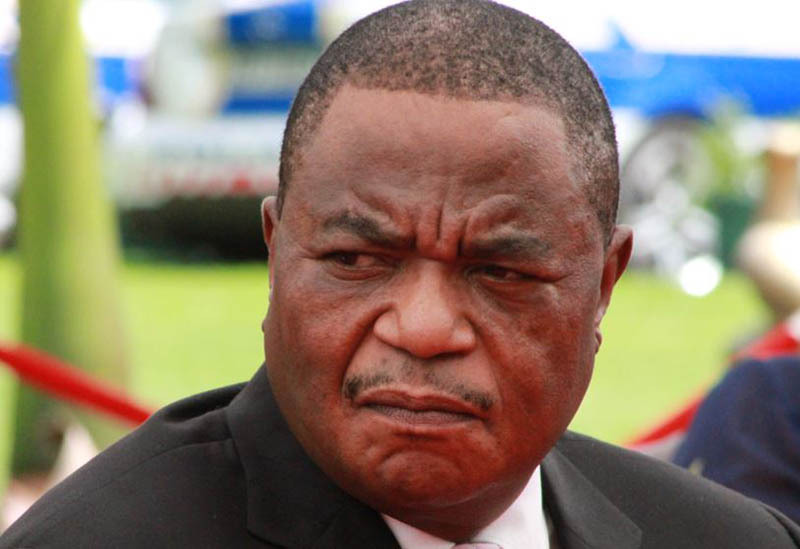 Kevin Woods, a CIO operative who was also apartheid South Africa s double agent revealed how the current Vice President of the country Constantino Guvheya Nyikadzino Chiwenga was involved in the Matabeleland genocide. In an audio interview posted by seasoned journalist Zenzele Ndebele on Twitter, Woods narrates the whole Gukurahundi story including the involvement of Chiwenga, Mugabe, Mnangagwa and Perence Shiri. A group of Zimbabwean intelligence and police officers gathered at CABS Building on April 7 1983 in Bulawayo to plot the operation to kill Nkomo and among them was one Brigadier Dominic Chinenge (currently know as Constantino Chiwenga) who was the Commander of 1 Brigade. I had my CIO man all over Matabeleland during that time and I would get information on the brutality that was happening. I remember at some point after getting information about the brutality of the Fifth Brigade from my men, I forwarded the reports to the CIO Headquarters. I was then told by the CIO Provincial commanding Officer to report what was going on to JOC Commander Brigadier Chinenge. When I told Chinenge that things had gone wrong in the curfew area , he was not perturbed with my news. He told me not to worry but to include those aspects in my normally weekly briefings which the next one will be attended by Mugabe, CIO Minister Mnnagagwa, CIO Political Affairs Bigwig Edison Shirhuru and Perence Shiri and the ZNA Chief of Staff General Gava. I met Mugabe many times and would give him security briefings at 1 Brigade in Bulawayo. Dominic Chinenge who was the 1 Brigade commander, Perence Shiri and Shirihuru would interrupt if I was saying things they did not want me to talk to Mugabe about. Things like how the 5th Brigade was going around murdering people. They would say, there is nothing like that chief this is all propaganda and stuff like that. But Mugabe Knew because I would write reports and would be told that this is not my war, I should not worry. Mnangagwa, Shiri, Shirihuru and Chinenge supported Gukurahundi and parted 5th Brigade commanders on the back. Woods said the number of people who died during the genocide maybe around 18 800. We knew more or else how many people were killed that is the closest figure that any one can reach. I had my man throughout the provinces attached to police stations and would go with the 5th Brigade when they were doing massacres. Of course, there were case where fifth Brigade will kill people at night and bury them in mass grave when we were not there, but most of the activities my men knew and were sending reports.